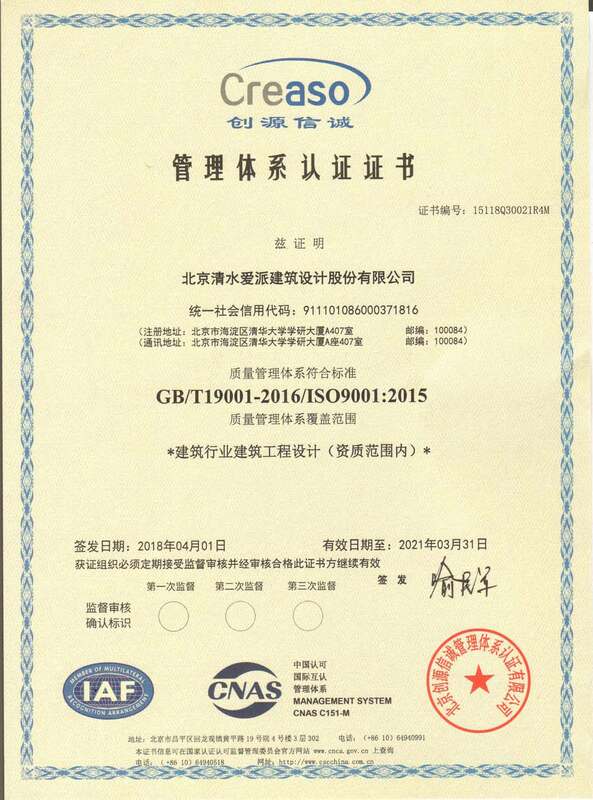 AEPA&TSC Architects Engineers INC. established in 1995, has held Class-A Qualification in Architectural Engineering Design，Urban and Rural Planning Qualification Class-B, ISO 9001: 2015 Quality Assured Firm since 2006, and the HNTE (High and New Tech Enterprise) since 2014. The New Third Board listed since 2015, stock code:834857. The company offers all kinds of industrial and civil engineering consultation and design of construction projects, management and contractual services. There are nearly 300 professional and technical personnel composed of an efficient collaborative team. 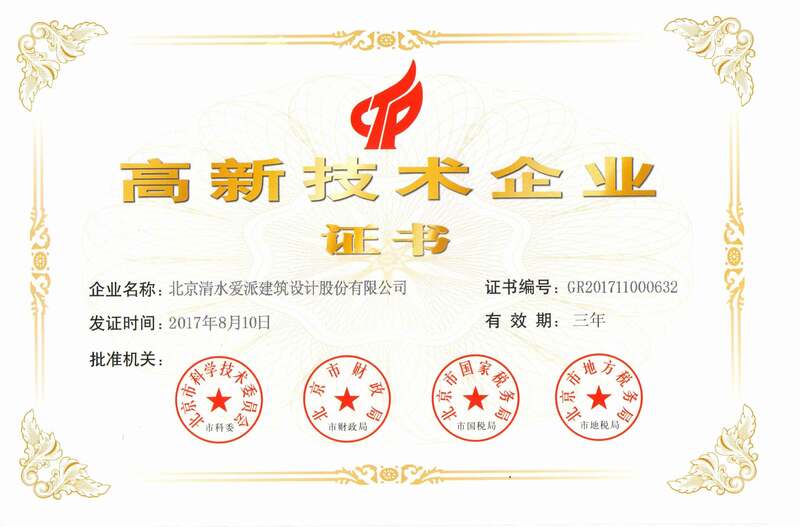 In addition to owning the Beijing Corporation, Henan Branch, Nanjing Branch, Shenzhen Branch, Taiyuan Branch, Hebei Branch, Shanghai First Branch, and Inner Mongolia Branch have been established one after another. At the same time, it has formed a good cooperation relationship with many special design teams such as lighting, acoustics, BIM, and intelligence. 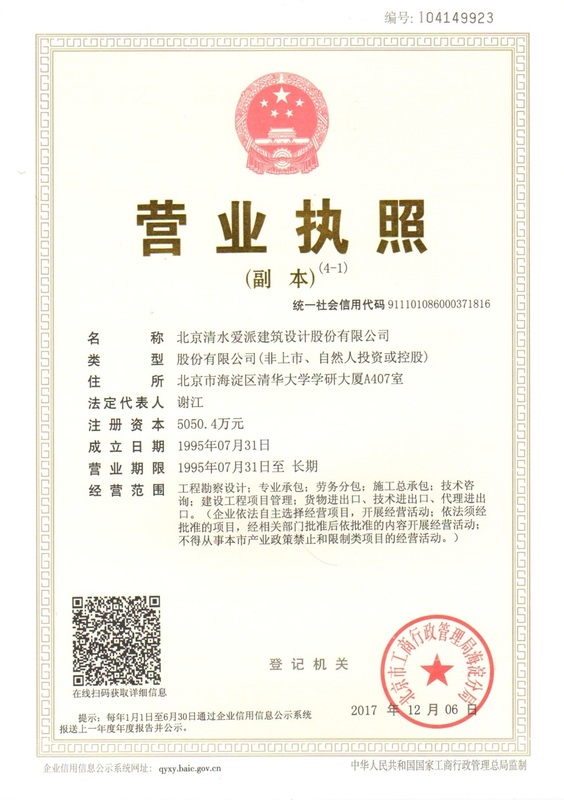 The company is the member of Beijing Engineering Survey and Design Industry Association and the managing director of the China Building Decoration Association. It has been one of the internship units for the graduate students of Tsinghua University, etc. for years. We choose our new staff from the international and nation’s outstanding professional schools, and subject all members of our firm, including partners, to rigorous standards of performance in matter of creative design, cost and schedule management, and evaluation of construction materials and products. 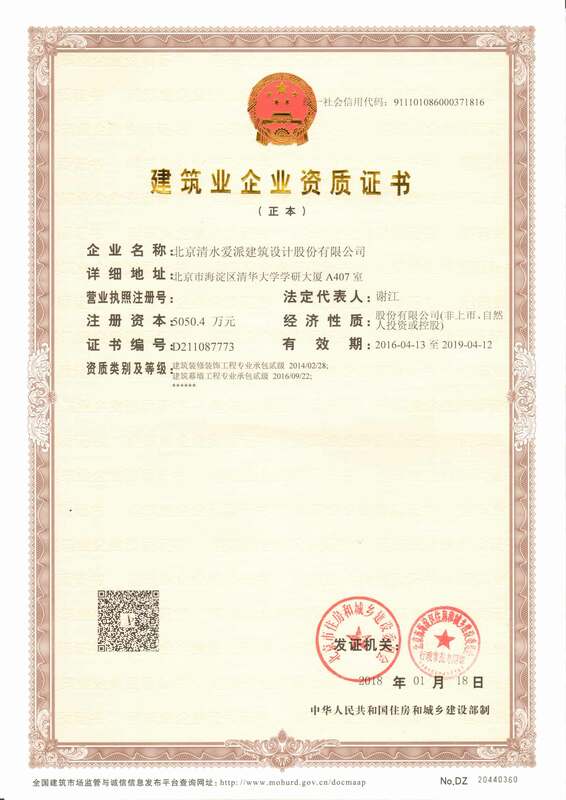 Our works has been recognized by local as well as national professional societies, including several national honor awards from the Architectural Society of China, and published in several noted publications, including the DID, the World Architecture, the Yearbook of Interior Design of China, etc. We have edited a series of Atlas of National Standards. 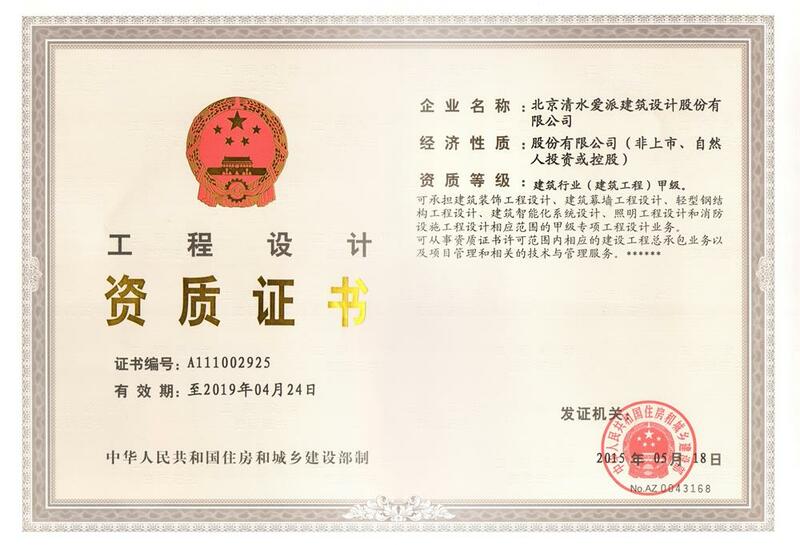 Our company and Architectural Design & Research Institute of Tsinghua University Co., LTD. jointly founded the "Urban Complex Design and Research Center" in Sep 2011, which has played a key role in this field. 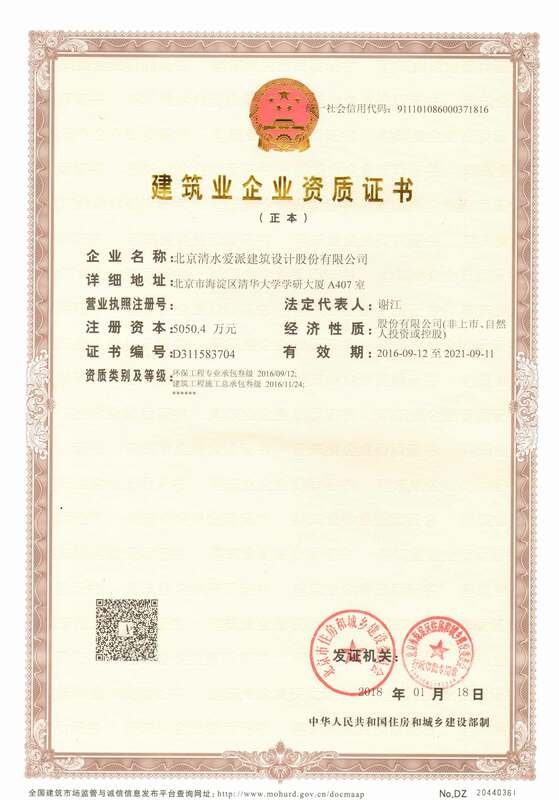 Our company and ABJ Landscape Architecture & Urban Design Pty., ltd. signed strategic cooperation resolution in Oct 2014, ABJ became shares of AEPA&TSC's subsidiary company. The business covers the entire course of planning, construction, landscape, interior design, etc., which enhances the competitiveness of the market and can better provide customers with the overall service of the entire industrial chain.